This is one of those things that, having found it, I never want to be without it. How many times have you had your car washed and they’ve put some hideous smelling thing in it? Or you’ve got into your car only to find your teenage son has left his football boots there and it now smells like a dank locker room? I have often wondered why, when there are about a million gorgeous scents for the house, no one has ever thought to come up with one for the car. Well, now they have. 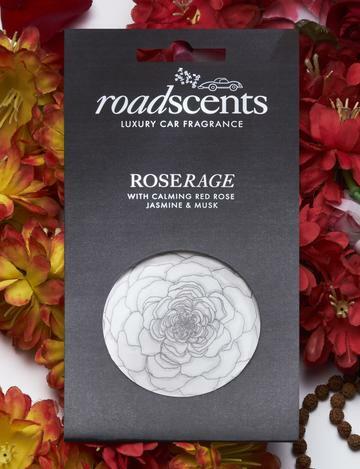 Roadscents is a company founded by a friend of mine called Tina Gaudoin and will soon be offering six glorious scents to make your drive anywhere a total joy. If you don’t have a car, you can hang them in your wardrobe or even put them in a sock drawer. At the moment they sell Godsmell (an uplifting blend of patchouli, sandalwood and cedar) and Roserage (a calming mix of red rose, jasmine and musk). I adore them both but am totally hooked on Roserage, which I will be buying as a stocking filler, for myself among others. Each car scent costs £10 and lasts for around four to six weeks. There’s a ‘buy four get one free’ offer on at the moment. For more info please go to www.roadscents.com.